Group of friends celebrating New Year's. If ‘spending less’ is your 2019 New Year’s resolution, you'll want to steer clear of Miami when celebrating the New Year's holiday. Cheaphotels.org conducted a survey that compared hotel prices across 50 world cities. They looked at the cheapest available double room rates for December 30-January 2 at three-star or more hotels, with a city center location and an average of positive guest reviews. The results were a list of the most expensive cities in terms of hotel rates to celebrate the New Year’s holiday. You guessed it, Miami came in first. According to the survey, Miami is the priciest destination in the world to celebrate New Year's with a nightly hotel rate of $281 per night. Following Miami was Sydney in second place and Dubai in third place at $274 and $272 per night, respectively. In addition to Miami, New Orleans, New York City, and Nashville were U.S. cities that rated in the top 10 most expensive New Year’s destinations. Even Chicago, which had a rate of $104 per night over the holiday, is more expensive than Rome ($85) and Tokyo ($87). The survey also looked at how much destinations increased their hotel rates for the New Year’s holiday. While $175 per night in Taipei to celebrate the New Year seems reasonable compared to Miami, that’s a nearly 500 percent increase from what an equivalent stay would be in January. Edinburgh also hiked their hotel prices by 423 percent during the holiday to an average of $204 per night at a downtown hotel. If you’re looking for an affordable New Year’s Eve hotel stay, your best bet is Bogota, the capital of Colombia. Hotels there have an average rate of $27 per night during New Years. Buenos Aires, Kuala Lumpur, Doha, and Hanoi all offer hotel rates that are less than $50 per night during the holiday. 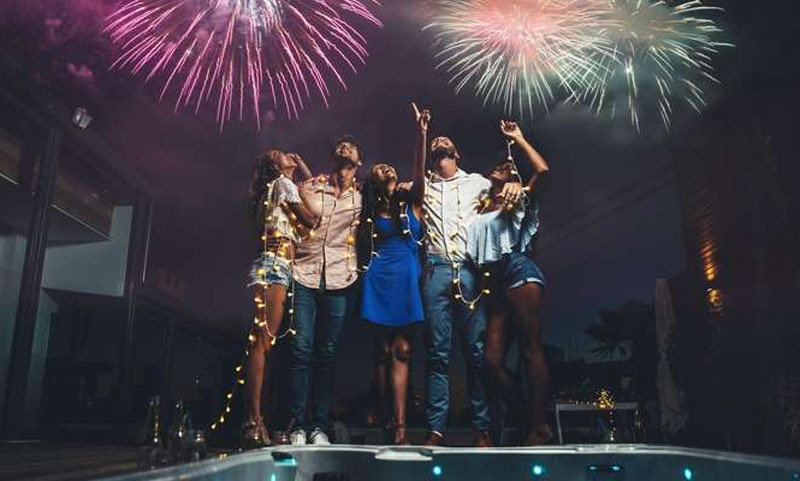 Before you book, check out the list, so you can ring in the New Year’s at home or abroad in a hotel that won’t break your bank.